One busy Saturday, in between soccer games, shopping and running errands, Master 13 and I decided to stop at McDonalds for a quick meal. As we walked in I was surprised to find several high tech touch screens near the entrance and naturally like a magnet junior was drawn to them, wanting to find out what they were all about. 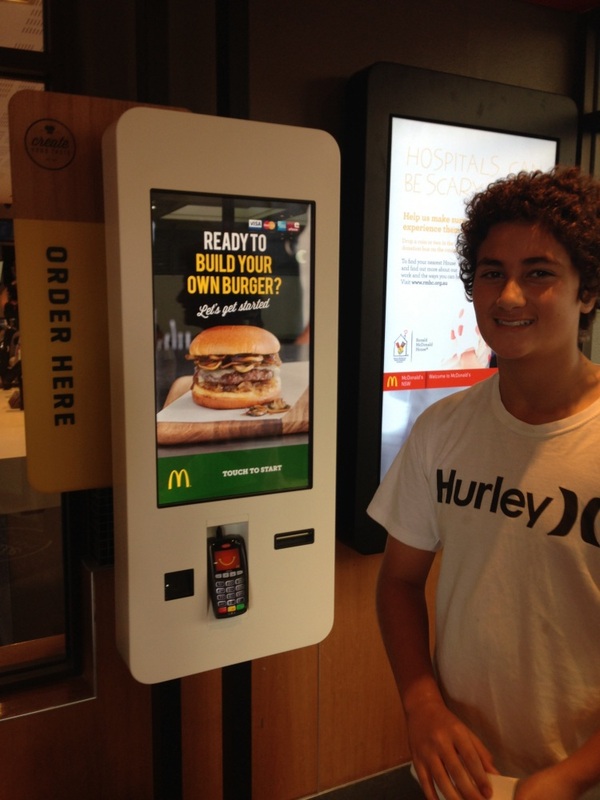 He quickly realised the touch screens allow you to place your order for a McDonalds meal or even create your own burger. 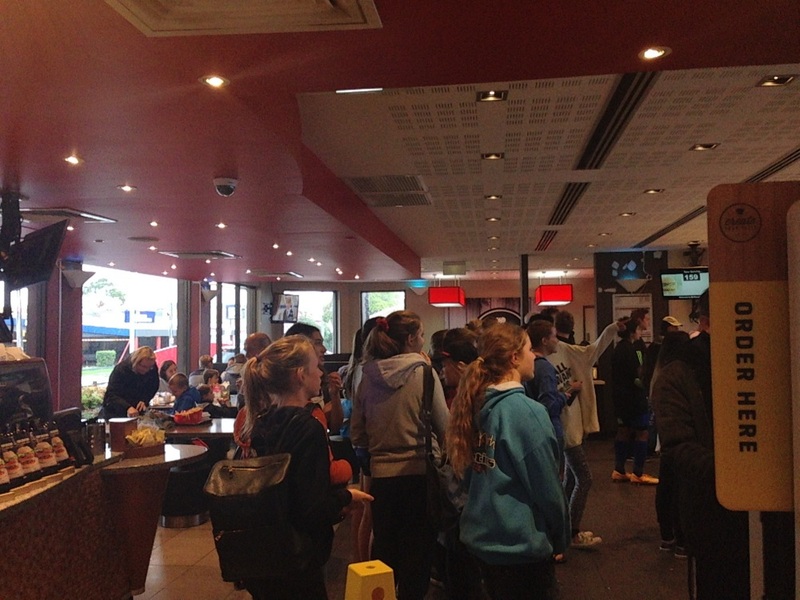 Whilst many people stood in the regular queues to order their meal, we were able to order very quickly. The touch screen is very easy to use and gives you the flexibility to get exactly what you want without having to wait. If you choose to try one of their create your taste burgers, you are guided screen by screen to select your favourite ingredients. And that's it. Your burger is created. The great thing is that with each step, you see the burger being built, so you know exactly what you are getting. 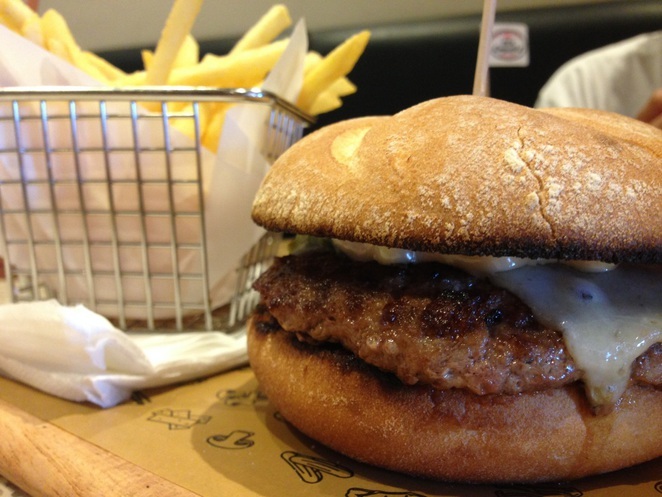 Once your burger is finalised, you can also choose to make it a meal with fries or salad and drink or add anything else from McDonalds regular menu. You have the option to pay right at the station or at the counter. If you pay at the station, go straight to where you collect your order. 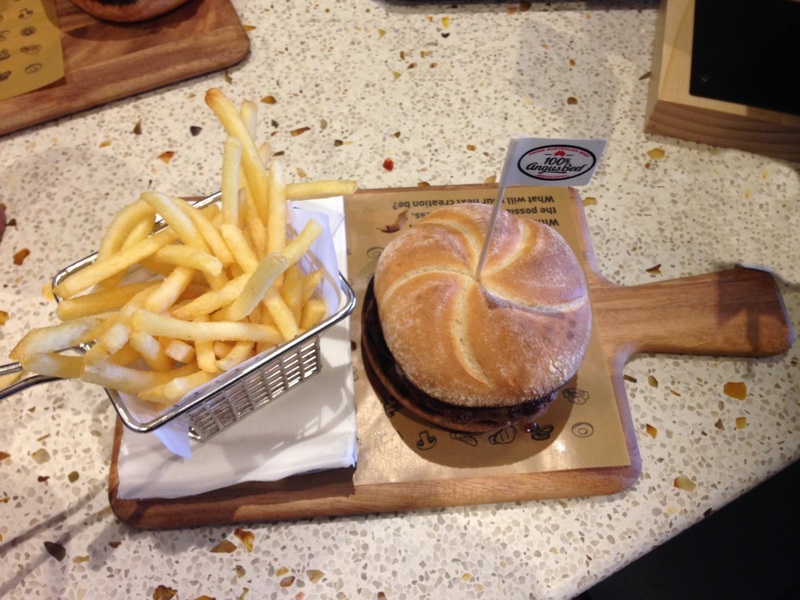 For those that choose to have their gourmet burger created, take your receipt and sit down. 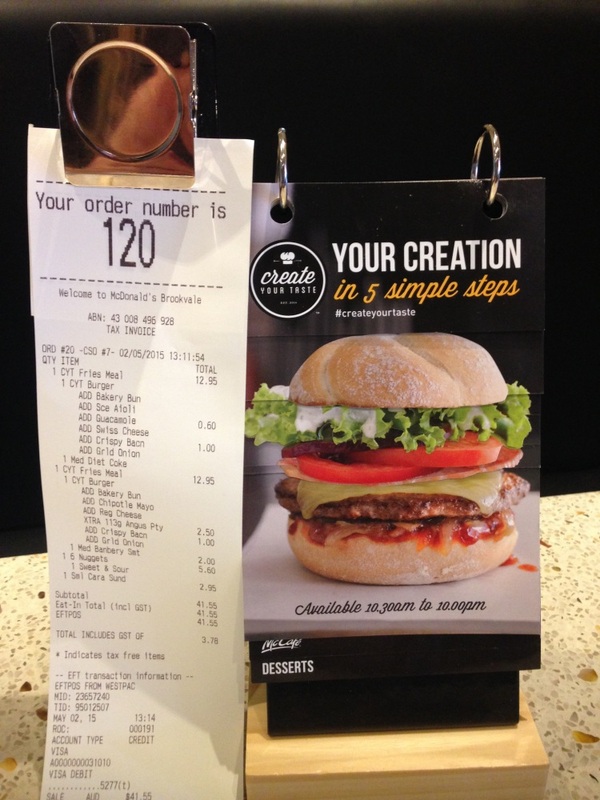 Pin the receipt on a stand provided on your table and once your burger is cooked, it is delivered to your table by the friendly McDonalds staff. And that is exactly what we did, placed our order, paid at the touch screen station and sat down. A few minutes later, our lunch was brought to us. The presentation of the meal was a pleasant surprise and the taste exceeded my expectations. The cost of the create your taste burger depends on the ingredients you choose, but the average price is around $15 for a meal with a drink and fries. Although the touch screens are not yet available in every store, they are slowly being installed. If you go to the McDonald's website, you can enter your postcode and find out where the nearest Create Your Taste store is. It is a long time since I have been to McDonalds, but if that is how they always present their burgers, they have come a long way. The bun looks particularly snazzy. I'm glad you wrote this article. I had seen a balloon on top of a Maccas advertising this with very little info. Good to know how it works.